Rising 20 stories above the pulse of Istanbul, The Marmara Taksim is a deluxe five-star hotel for both business and leisure travelers. Apart from 24-hour top-notch room service, there are distinctive dining facilities throughout the hotel with stunning views of Istanbul. The hotel's pampering The Marmara Spa and The Marmara Gym offer a broad range of facilities. 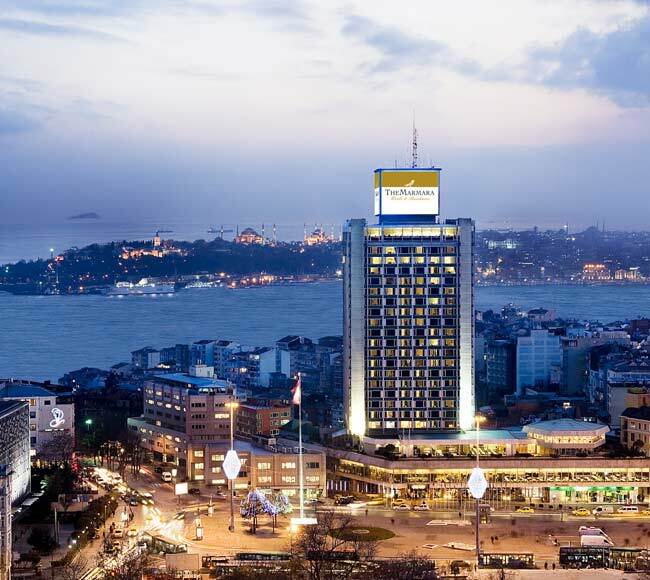 A block of rooms has been allocated at The Marmara Taksim Hotel for the attendees of at discounted rates. Reservations for special conference rates must be made by September 3rd, 2010 as these rates cannot be guaranteed after this date. The conference secretary would be happy to assist you with the reservation.